Join Heavenly 'Call to Arms' for the (Rosary) ARMY OF PRAYER around the world! The International Ecumenical Holy Love Information Center is located just next to the Knock Shrine in Ireland. All are welcome, come and find out more about Holy Love Ministry and the Rosary of the Unborn, Heaven's chosen weapon to combat abortion in the world. 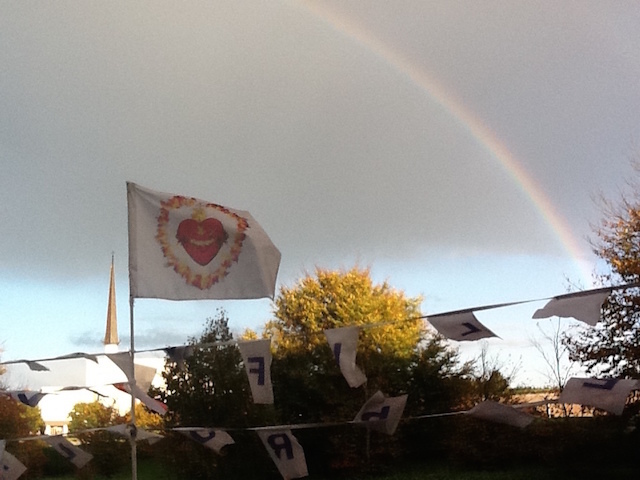 Rainbow over Holy Love Information Center at Knock! Part 1 (2013) — #396 — Marian Shrine, Knock, Co. Mayo. Part 2 (2013) — #397 — Marian Shrine, Knock, Co. Mayo. "O Divine Infant Jesus, present in the womb of Mary at conception by the power of the Holy Spirit, present in the crib at Bethlehem in obedience to the Will of God, open the heart of mankind to see that true peace will only come when there is peace in the womb." "Awaken mankind and help each soul to surrender to the Will of his Divine Creator. Amen." Only 10' of your time each day! 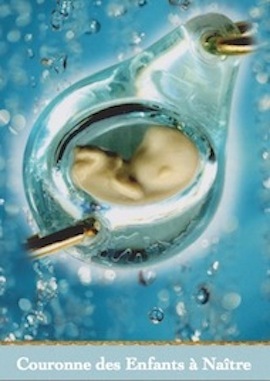 Most Sorrowful Heart of Mary, let your mantle of protection fall upon all the unborn children of the world. Save them from any harm and nurture within their souls a predisposition towards holiness. Amen. 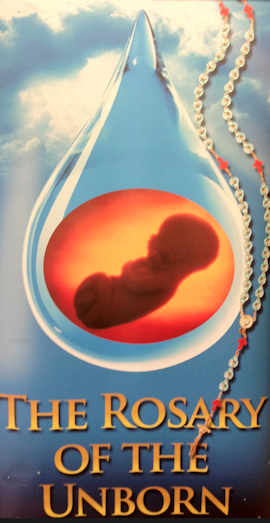 "Dear children, if you pray the Rosary of the Unborn or the Chaplet of the Unborn against abortion, then you are doing all you can in the present moment to console My Son's Most Mournful Heart. This is the sin that most epitomizes the narcissism of the heart of the world today and calls upon God's Justice." "Your prayers can save lives."